Joyce, Inc. specializes in websites for real estate brokers. Below are some of the myths and misconceptions we've encountered while discussing our IDX website software, ListingManager. Myth: New websites are expensive. Close one extra transaction and you'll have recouped your cost. The new site will provide plenty of ways to capture that one extra sale. Myth: Realtors don't need websites. People look up everything online… coffee shops, movie theaters, garbage companies. They are DEFINITELY researching real estate agencies online. And if they don't find you, or don't like your site, they'll move right along to your competitors. Myth: Getting a new website is time-consuming. We take care of the design, content writing, photo-sourcing, pretty much everything. Our clients only have to spend about 2 hours planning and reviewing with us. Myth: Do I really need an IDX on my site when my clients can go to so many other sites? People are going to Zillow and Realtor because they like the user experience. They may use another site and still work with you, or they may get distracted by other "premium" agents. Are you willing to take that chance when you could be proudly directing them to your own high end site? We provide similar tools, fast updates and a better experience (without all the extra ads and distractions). ListingManager is a tool for your agency as well, for promoting on social media or other ad platforms. It enhances your credibility if someone is vetting your agency, not just your listings. Plus you can easily send URLs to clients or post a listing to your own social media and drive traffic to your website. ListingManager is also a recruiting tool for your agency. Tech-savvy, motivated agents want to see that you're empowering them with the best new technologies that they can show their clients. Myth: Now isn’t a good time. 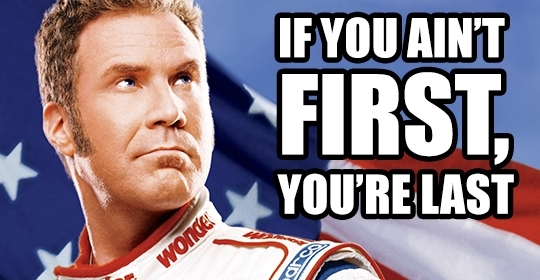 In the immortal words of Ricky Bobby, "If you ain't first, you're last." In such a competitive industry, it's important for you to stay ahead of the curve, since your competitors are always looking for ways to get the advantage over you. It's better for you to have that technology on your side sooner rather than later. But if now is really not a good time, no problem. We'd be happy to stay in touch as we develop new features so you’re aware of the possibilities. Let us know anytime you start thinking about upgrading. Realtors, visit www.listingmanager.com or call us at (412) 893-8783 to schedule a demo.